IF YOU RECEIVED AN EMAIL directing you to this secured payment page, then it means you need to make a custom payment to complete a previous order(s) placed or authorized. a) Just ADD this payment Item to your Shopping Cart. Procede to your SHOPPING CART. b) Once you get to the SHOPPING CART, choose the option titled "CHECKOUT " (for Visa, MasterCard, etc), or you may choose the option titled "CHECKOUT WITH PAYPAL", which gives you the added benefit of logging into your Paypal Account to make a VISA or MASTERCARD order. c) On the next screen you will see the option to choose "I am a New Customer" or the option titled "I am a Returning Customer". Remember, this site is our PI Store site - which is different than the Private Investiogators Forums site. This PI Store site uses an email and a password as a customer to make purchases. When we receive this remaining payment, we will credit your account so it may be completed. 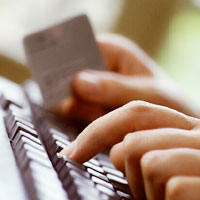 1) You authorize payment to your Visa, or MasterCard for the amount of $150.00. 2) You agree to additional terms if provided and agreed upon by private email. 4) You agree to waive any additional receipts of your payment(s )and to rely on your VISA or MasterCard statements for proof of payment. "I agree to receive product(s) and/or services and all related benefits either through the online IPIU website, www.ipiu.org/forums, by means of a special User Name, Password, and upgraded Access, or by mail if IPIU elects to ship any items or benefits. I further agree to waive proof of delivery by regular means, such as postage mail, and agree that proof of delivery will be based on a copy of IPIU's email and/or internal record notifications to me of the upgraded online access to the product or services. "I certify that I am an authorized user of this Visa or MasterCard and that I will not dispute the payment with my credit card company or with PayPal, provided the transaction(s) correspond to the terms indicated in this authorization form and/or agreed upon email terms."